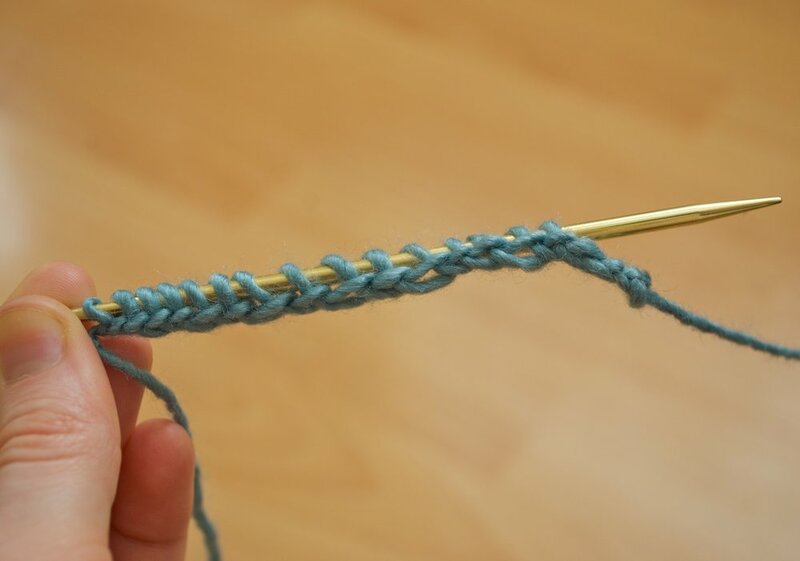 This is a great provisional cast-on method that allows you to cast on with a crochet chain that’s easy to remove. Here’s a video and photo tutorial as well so you can use whichever you prefer. 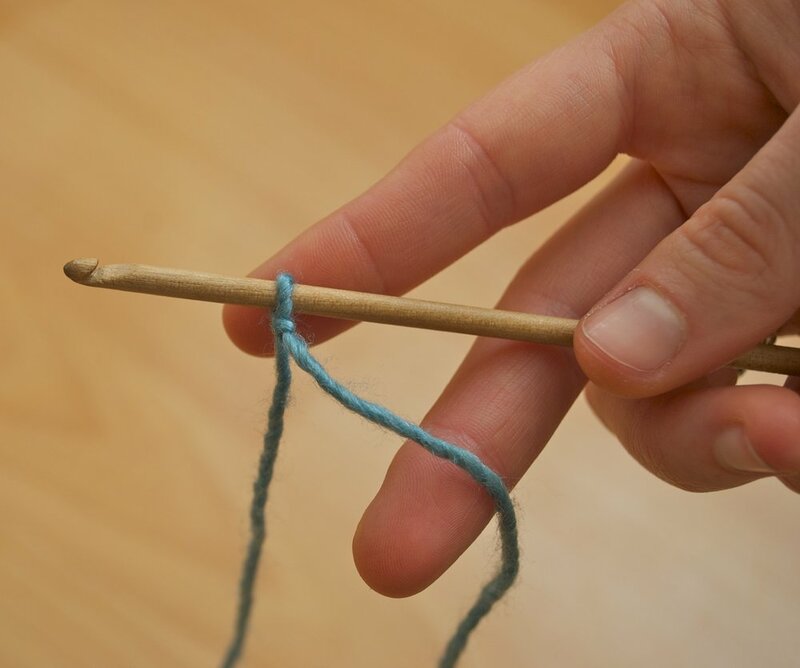 With smooth waste yarn, place a slip knot on crochet hook. 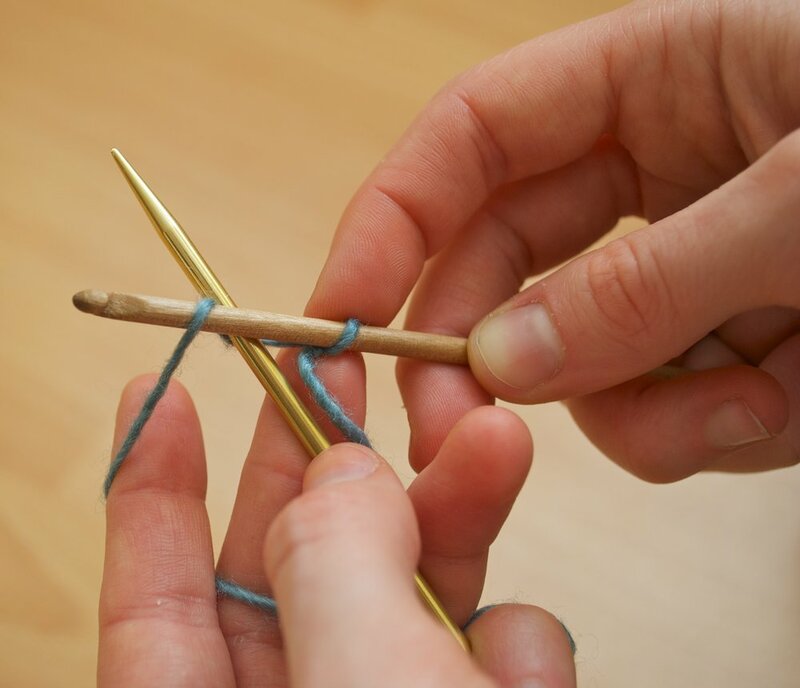 Hold the yarn and knitting needle in left hand with the yarn behind the needle. 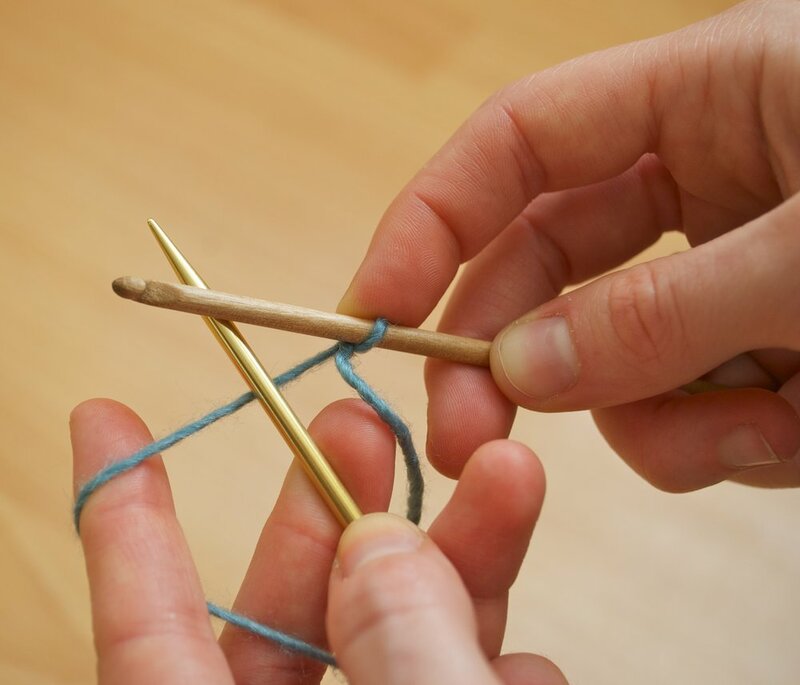 Hold crochet hook over top of needle. 1. Wrap yarn over crochet hook from back to front and draw yarn through loop on crochet hook. One provisional stitch is now on the needle. If you were crocheting a chain, that stitch would be your first chain, and the loop on the hook would not be counted since in crochet, we never count the loop on the hook. 2. 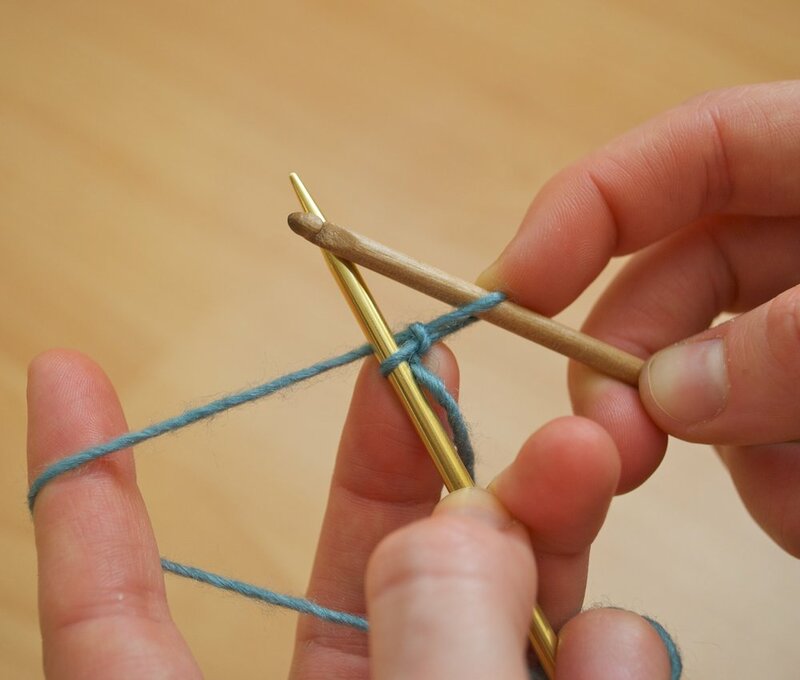 Bring yarn between needle and hook and behind needle. Repeat steps 1-2 until desired number of stitches are on needle. The stitches on the needle are the back of what would be crochet chain, and the V's on the right side of the needle are the front of the crochet chain. Chain several stitches. This tail will show you where to begin unraveling the chain when it's time to remove the provisional cast on. Break yarn, leaving a 6 in/15 cm tail and draw it through the last loop. 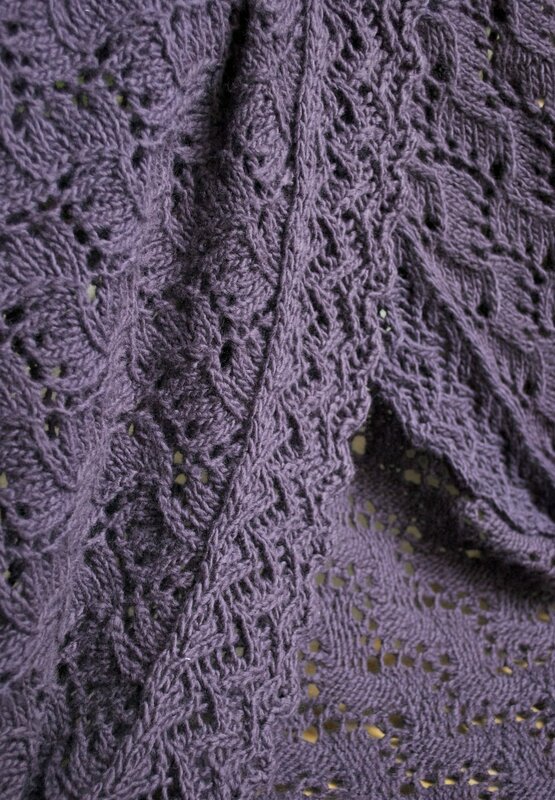 To begin working, pick up working yarn and knit into provisional stitches.